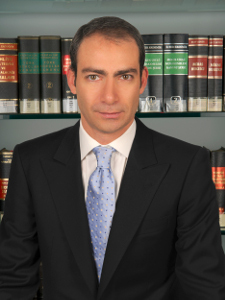 Fethi has been the Firm's Managing Partner since 1996. As part of the Banking & Finance and Corporate/M&A teams he is recognised as a prominent figure in M&A and project finance, leading in cross-border transactions of a complex nature. During the M&A boom of 2005-6 he advised on numerous deals in the banking and telecommunications sector, moving on to media, energy, services and health in 2007-8. A main area activity for 2009 is renewable energy with financial services being of interest for 2010. Fethi continiues to be active in the above practice areas. As Managing Partner Fethi is also responsible for developing preferred law firm networks with international counsel and for driving the vision of Pekin & Pekin as a progressive service-orientated law firm. Educated at Boston University, US (B.A. 1993) and the University of Buckingham, UK (LL.B. 1996), Fethi speaks both Turkish and English. You may contact Fethi Pekin using the form below.